Back in September, I came across this water-loving marsh smartweed (Polygonum amphibium var. emersum) along the recently-flooded shoreline of Beaver Mines Lake in southwestern Alberta. It’s not a plant I was previously familiar with, but I did some searching and found that it is a member of the buckwheat family and a North American native, alongside a large number of other smartweeds. According to my reading, some smartweeds are considered invasive species in certain provinces and states, but none seem to appear on the Alberta list. Do any smartweeds grow where you live? Interesting facts about cow parsnip. One of the plants my hubby and I found in abundance on our recent walk in Strathcona Ravine was cow parsnip (Heracleum maximum, syn. H. lanatum, H. linatum – sometimes called H. sphondylium subsp. monatum). 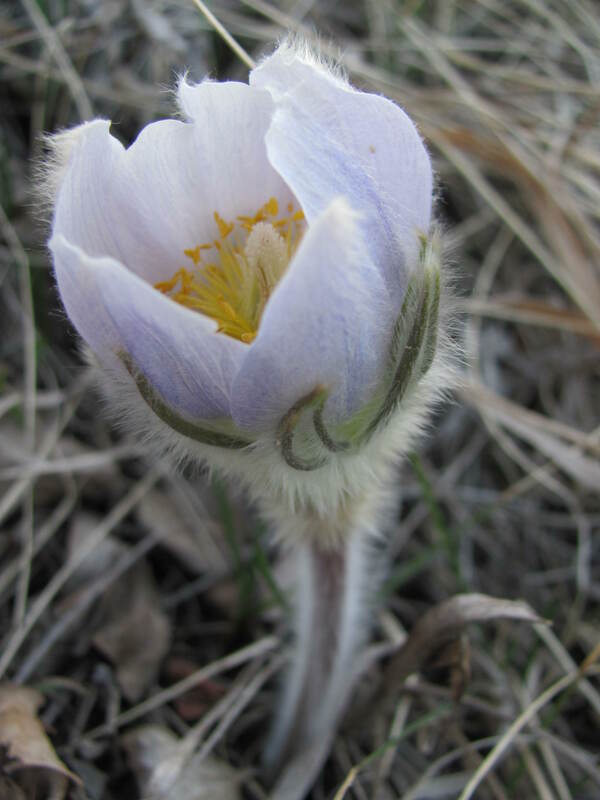 It’s a common wild flower in Alberta, usually found in any location with damp soil. I find them endlessly fascinating, with their huge leaves, hollow stems, and impressive white flower umbels…but many people know them only because they are frequently confused with their highly toxic relative, giant hogweed (H. mantegazzianum, sometimes mistakenly called H. maximum), which – as far as I understand – is not yet found in this province. 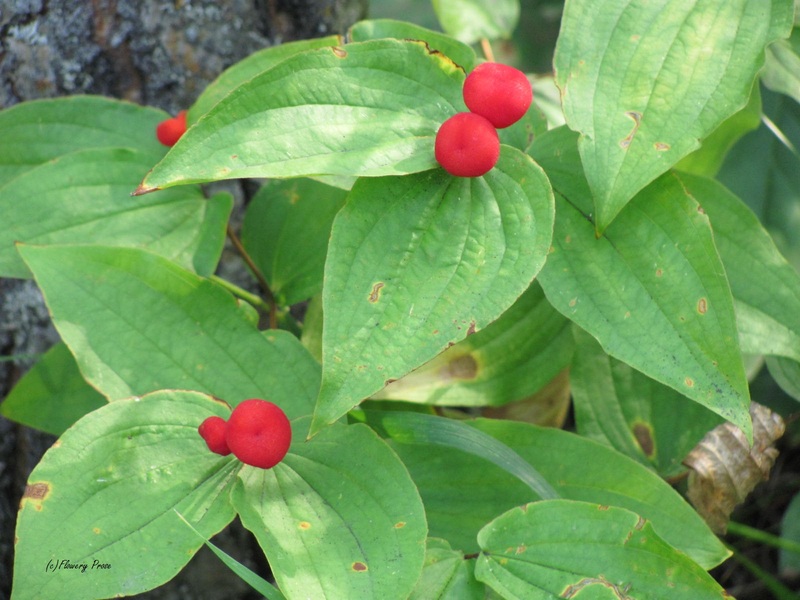 H. maximum is the only native North American plant of the genus. “Heracleum” is a reference to Hercules; the plants are so named due to their large size. Cow parsnip will grow up to 2 metres in height. The dreaded giant hogweed will grow up to 5 metres tall. Cow parsnip flowers can be brewed into an infusion that will apparently ward off mosquitoes. No word on whether or not you apply the infusion to your skin or just leave it in a mason jar on your picnic table. Cow parsnip is a member of the Apiaceae family – this is obvious by those characteristic flower umbels, which can be up to 20 centimetres across. Cow parsnip is highly attractive to butterflies. The white flowers apparently smell a bit like vanilla, but I’ve never noticed this. I tend to think of cow parsnip as a rather stinky plant – but maybe I usually encounter it when it is fruiting. The fruit does not have a pleasant odour. 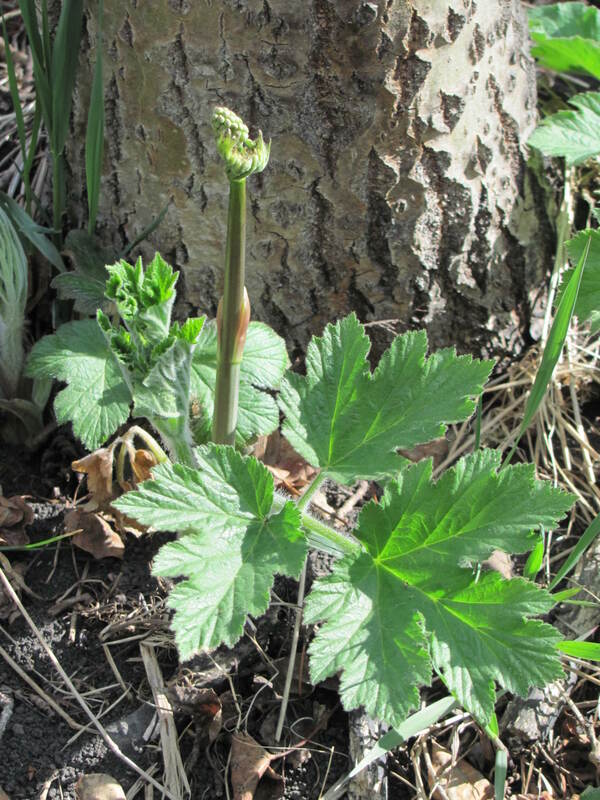 Cow parsnip does not like to be transplanted – it also does not grow well in disturbed areas. H. maximum has a short life span, but it makes up for that by reseeding itself all over the place. You can make a yellow dye from cow parsnip roots. 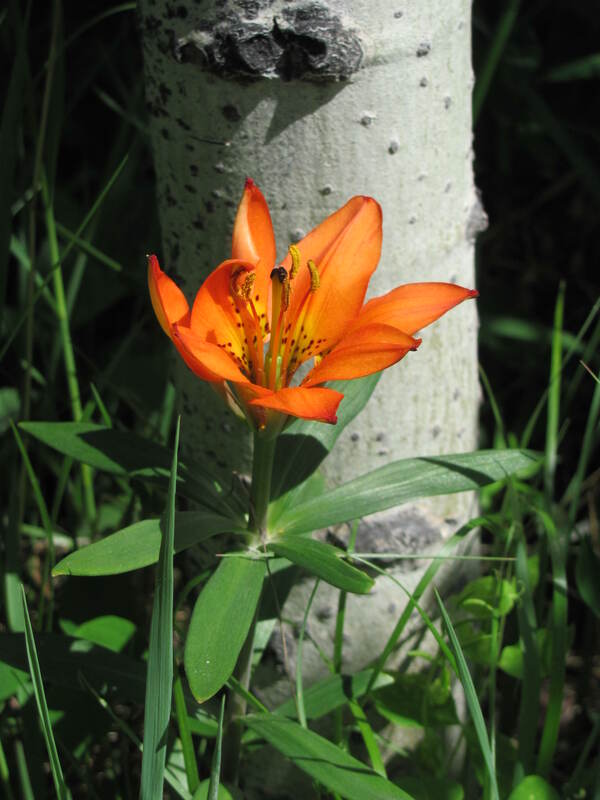 Historically, the immature roots were cooked and eaten by North American indigenous peoples. The young stems and leaf stalks were also peeled, cooked, and eaten. They supposedly taste like celery. Raw stalks were also peeled and eaten. Cow parsnip may be used for erosion control or to stabilize slopes due to its substantial root system. The stems of cow parsnip are hollow between the nodes. I used to play with the dried ones when I was a child – I was fascinated by the fact that they were hollow. Wear gloves when you pick the flowers of cow parsnip, as they have tiny spines along the stems. 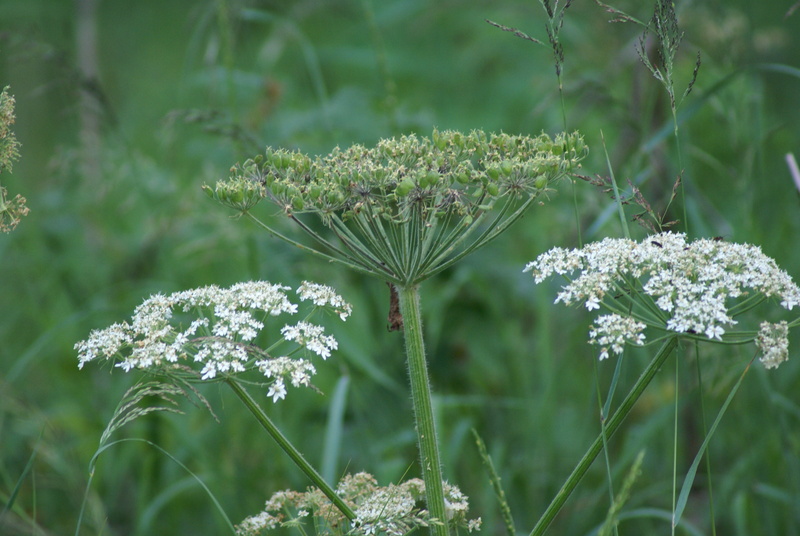 Cow parsnip was once used to treat bruises and blisters, and to reduce swelling of the extremities. The stems and leaves of cow parsnip contain small amounts of furocoumarins, toxins which can cause phytophotodermatitis. To be on the safe side, wear gloves when handling cow parsnip. However, cow parsnip should not be confused with the highly poisonous giant hogweed, which can seriously harm a person. Giant Hogweed or Cow Parsnip? Does cow parsnip grow where you live? Hope you’re not tired of my crocus photos yet! There are 1,406,718 of them (give or take a couple) blooming up on Nose Hill right now. Don’t worry, I’ll only post one picture of this particular beauty. I hope you have a wonderful weekend! Will you be spending part of it in the garden or going for a nice long walk? 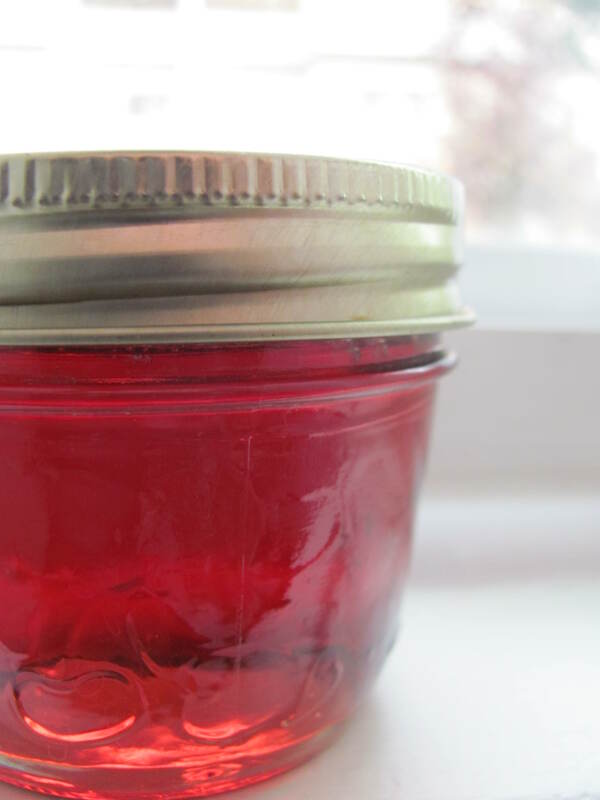 We have had the longest heat wave I think I can ever remember here on the Prairies, so to drag out the boiling water canner and make jelly in an already scorching kitchen wasn’t a prospect I was terribly keen on, but this jelly was sooooo worth it! I daresay I love the flavour more than the rose petal jelly I made a couple of years ago (do you remember that?). The fireweed does indeed taste a bit like roses, but it’s far fruitier – and how can you match that incredible colour? I was very impressed – this will definitely be on my list of must-makes every year from now on. The recipe I used may be found here; you have to make the juice first before getting started on the jelly. Don’t omit the lemon juice, as it contributes to the vibrancy of the colour. Have you tried any new canning recipes out this year? (Jam, jellies, pickles, chutneys, salsa…etc.). And if you don’t can, have you grown or eaten any new types of fruits and veggies that you’re now a big fan of? 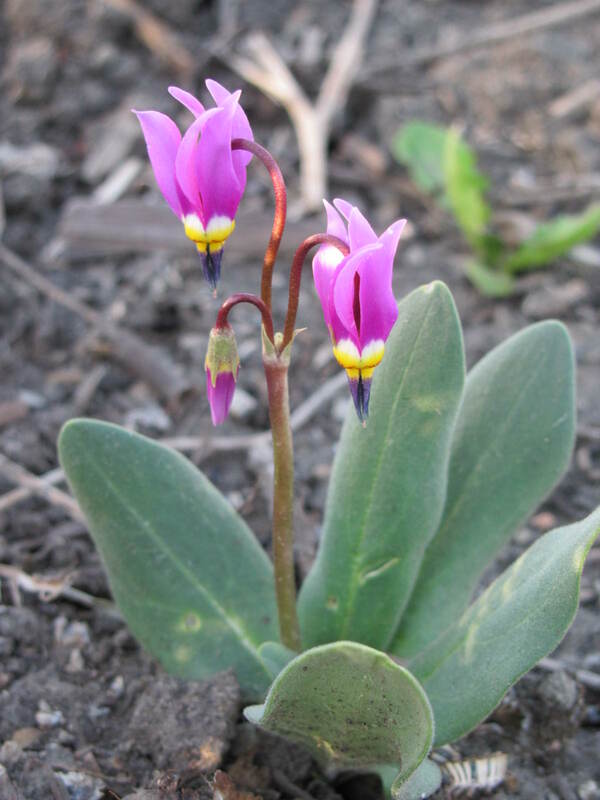 Shooting star…I call it “superstar!” Dodecatheon conjugens, one of my very favourite blooms in our community garden’s new native plant garden. Which plants are the stars of your garden right now? Before an absolutely wicked thunderstorm chased us out of the Cross Conservation Area last Thursday afternoon, my hubby and I enjoyed a leisurely stroll through the aspen forest. The wildflowers have all pretty much finished blooming, and the warm, rich scent of decaying foliage was in the humid, still air. Brown and yellow leaves crunched underfoot and any Saskatoon or currant berries left on the shrubs were shriveled and inedible. (I did manage to find some still-plump chokecherries, though). I guess it all means autumn is really and truly here. I adore this season, but it seems as if I merely blinked, and summer had completed its cycle. It saddens me…. How are you marking the change of season in your part of the world? For more information about fairybells, consult Wildflowers of Calgary and Southern Alberta, by France Royer and Richard Dickinson.